Since I believed in Jesus, I had often read the Bible and memorized its verses, and the Bible had become my faithful companion. I held the view that God could only be found in the Bible, God would never work beyond the Bible, and whoever departed from the Bible was not a believer in God. So, for fifteen years, I took the Bible as the treasure, and I even put it at the head of my bed when I slept at night, which in my view meant that God would be with me. However, I had never expected that when God’s work of the last days came upon me, I resisted and condemned it with the Bible for six years, and actually became a Pharisee of the present age. I remembered that one day in 1996, a sister came to preach Almighty God’s gospel of the last days to me. But before she finished her words, I said, “It’s false. Who doesn’t read the Bible as a believer in God? Go away! I won’t believe in anything apart from the Bible.” With that, I pushed her out of the door. Later, many more people came to preach the gospel of the last days to me, but I held fast to the Bible and drove all of them away without seeking or investigating. In March 2002, a brother I was familiar with came to my home and preached the gospel to me. Just a little while after he started to talk, I stopped him and said, “How come you also believed in the God who works outside the Bible?” Then I ignored him and gave him the cold shoulder. But he continued to fellowship with me patiently. He said a lot, yet I didn’t take in anything. And I thought, “Anyway, I won’t be deceived by you.” Later, he urged me repeatedly to read the book of God’s word, but I said impatiently, “Except for the Bible, I won’t read anything!” Just then, my child said, “Mum, you should read it, or you won’t know if it’s true or false!” At his words, my heart skipped a beat. “How could a child speak such words? Could it be the Lord’s will?” I was afraid to disobey the Lord’s guidance, so I took the book from the brother’s hand and read it. And I saw these words: “After the work of Jehovah, Jesus became flesh to do His work amongst man. His work was not carried out in isolation, but built upon the work of Jehovah. It was work for a new age after God had concluded the Age of Law. Similarly, after the work of Jesus ended, God still continued His work for the next age, because the entire management of God is always progressing forward. When the old age passes, it will be replaced by a new age, and once the old work has been completed, a new work will continue the management of God. This incarnation is God’s second incarnation following the completion of Jesus’ work. Of course, this incarnation does not occur independently, but is the third stage of work after the Age of Law and the Age of Grace.” “If people remain in the Age of Grace, then they shall never be free of their corrupt disposition, let alone know the inherent disposition of God. If people always live among an abundance of grace but without the way of life that allows them to know God and satisfy God, then they shall never truly gain Him[a]. What a pitiful form of belief that is. 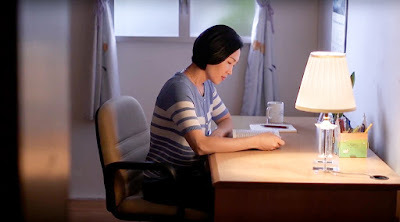 When you have finished reading this book, when you have experienced each step of the work of God incarnate in the Age of Kingdom, you will feel that the hopes of many years have finally been realized. You will feel that only now have you truly seen God face-to-face; only now have you gazed upon the face of God, heard the personal utterance of God, appreciated the wisdom of God’s work, and truly sensed how real and almighty God is. You will sense that you have gained many things that people of times past have never seen or possessed. At this time, you will clearly know what it is to believe in God, and what it is to be after God’s heart. 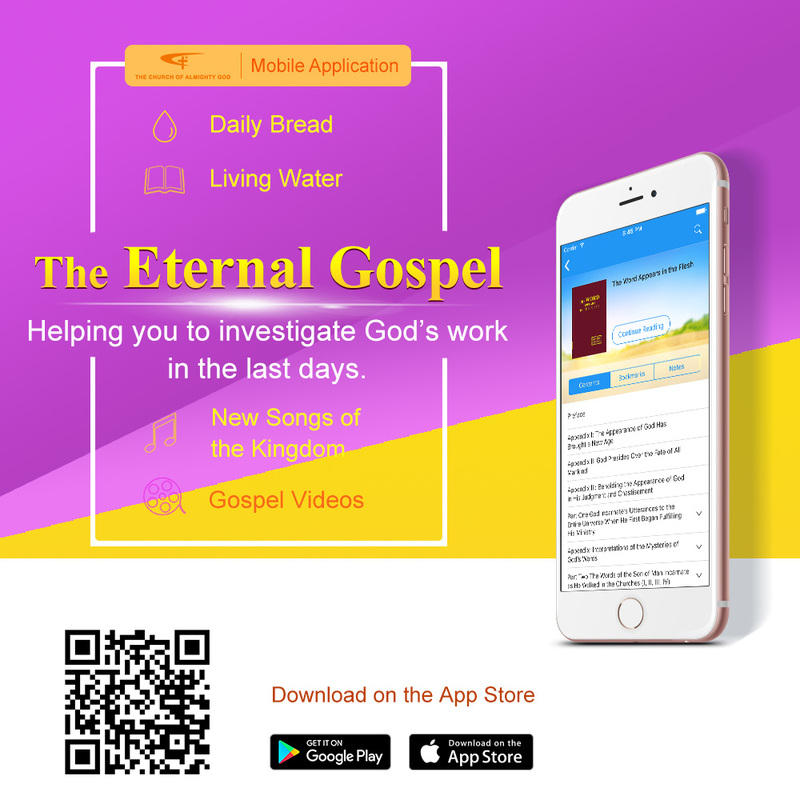 Of course, if you cling to views of the past, and reject or deny the fact of the second incarnation of God, then you shall remain empty-handed and acquire nothing, and ultimately be guilty of opposing God.” After reading those words, I was greatly shocked: Has God really done a new work outside the Bible? So I prayed silently in my heart, “O God! I don’t want to be left with empty hands and gain nothing in believing in You. If this is really Your work, please enlighten me so that I can understand Your will. I’ll accept it if it is the true way.” Then I asked the brother to continue his fellowship. The brother read me John 5:39-40, which says, “Search the scriptures; for in them you think you have eternal life: and they are they which testify of me. And you will not come to me, that you might have life.” And he said, “Jesus said these words with a certain background. At that time, the Lord Jesus preached many truths, but the Pharisees and the Jews didn’t accept them. Instead, they measured Jesus’ words against the scriptures, held fast to the letters of the Scripture, and accused the Lord of taking God’s name in vain and sought to kill Him. (John 5:18) So, the Lord Jesus said those words, which mean that there is no eternal life in the Bible, the Bible only testifies of the Lord, and one can only have life (eternal life) if he comes to Jesus, for God is the source of life. In John 3:16, it says, ‘For God so loved the world, that he gave his only begotten Son, that whoever believes in him should not perish, but have everlasting life.’ Jesus meant that whoever believes in Him will have everlasting life but not that whoever believes in the Bible will have everlasting life. So, that there is eternal life in the Bible is our conception and imagination. It’s actually a misunderstanding of God’s will.” Hearing his words, I was suddenly enlightened. “I’ve believed for so many years that there is eternal life in the Bible. Actually Jesus has already told us that there is no eternal life in the Bible, the Bible is only God’s testimony, and only God Himself is the source of life. Thank God for His enlightenment! I’ve blindly believed in the Bible for over ten years. Only now have I known this secret.” The brother continued, “Almighty God has unlocked all the mysteries. If you read His word with a seeking heart, you will know all these.” So, I continued to read the book, in which I saw these words: “You all need to understand the Bible—it is very necessary that you do so. Today, you don’t need to read the Bible any longer, for there is nothing new in it; it’s all outdated. The Bible is a history book. If during the Age of Grace you were to eat and drink the Old Testament, practicing the requirements of the Old Testament age, then Jesus would forsake you, condemn you. If you had tried to impose the Old Testament on Jesus’ work, you would have been called a Pharisee. And so today, if you eat and drink and practice the Old and New Testaments, then the God of today will condemn you; you cannot keep pace with the work of the Holy Spirit today. If you eat the Old and New Testaments, then you are one outside the stream of the Holy Spirit. In Jesus’ day, He led the Jews and all those who followed Him according to the work of the Holy Spirit in Him. He did not look to the Bible for evidence, but spoke as His work dictated. He did not concern Himself with what the Bible said, did not lead His followers down a path found in the Bible. From the very beginning, He preached the way of repentance, and the word ‘repentance’ was not mentioned at all in all the prophecies in the Old Testament. Not only did He not follow the Bible, He brought forth a new path and did a new work. He did not make reference to the Bible when He preached, and the miracles He worked—healing the sick, casting out demons—had never been performed by men during the Age of Law. No one in the Age of Law did the work He did, taught those lessons, had that authority. He simply did His new work, though many people condemned Him, even crucified Him, by using the Bible. His work went beyond the Old Testament; if that had not been the case, why would they have nailed Him to the cross? Was it not because His teachings, His power to cure the sick and cast out demons, had never been recorded in the Old Testament? The work of Jesus was to bring forth a new path; He did not deliberately set out to ‘wage war’ against the Bible or abolish the Old Testament, but simply performed His ministry, bringing the new work to those who thirsted for Him and sought Him out.” After reading these words, I felt more brightened in my heart. “Thank and praise Almighty God! I see that I was so blind and ignorant. I have believed in God for many years, yet I didn’t know God’s work at all. I measured God’s new work against His old work, and condemned it to be wrong when I failed to find harmony between them. I was too arrogant and senseless!” Every word of God exposed my state, and I felt ashamed and disgraced. But at the same time, I was deeply attracted by them. I continued to read eagerly. 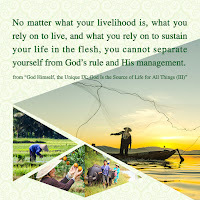 God says: “Must God’s work obey any rules? Does He need to follow the words of prophets? Which is greater, the Bible or God? Why must God’s work be in line with the Bible? Is it really not within His right to stand above the Bible? Can He not depart from it and do other work? Why did Jesus and His disciples not observe the Sabbath? … You must know which came first, God, or the Bible? As He is the Lord of the Sabbath, can’t He also be the Lord of the Bible?” “Yes! God is the Ruler of all things and is the source of life. Can He be restricted by the Bible in doing His work? How can the Bible be equaled to God? I’m only a small created being. How can I circumscribe God’s work?” God’s words convinced me and completely changed my attitude toward the Bible, which I had held for many years. a. The original text has “while believing in God”.